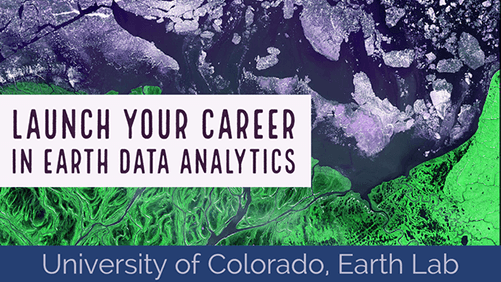 Below you will find several benchmark tests that demonstrate the fastest way to process raster data in R.
For basic raster math - for example subtracting two rasters, it’s fastest to just perform the math! 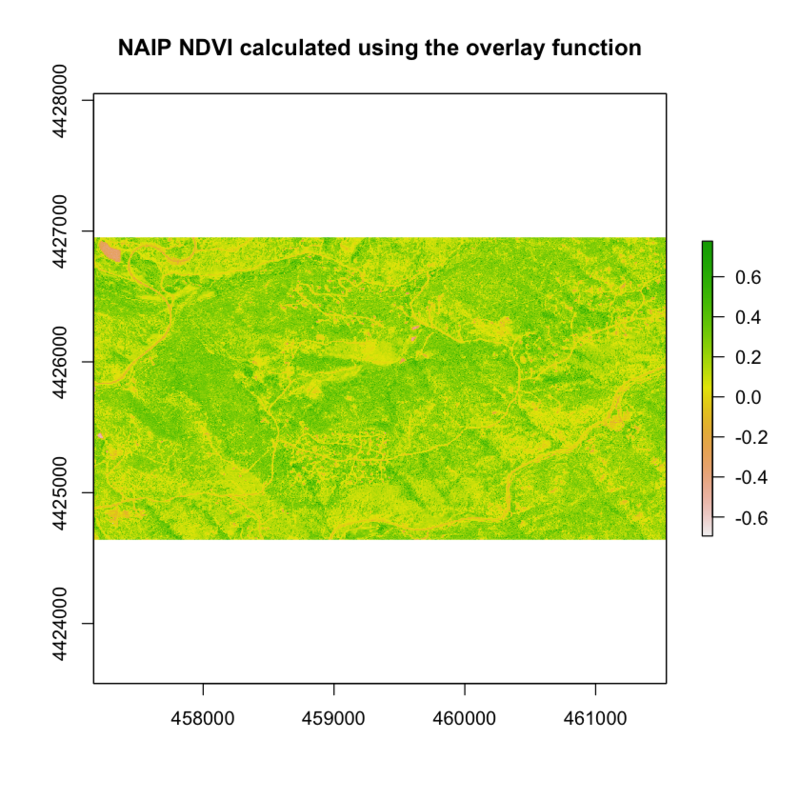 For more complex math calculations like NDVI the overlay function is faster. Raster bricks are always faster! Let’s use the same function on some more useful data. 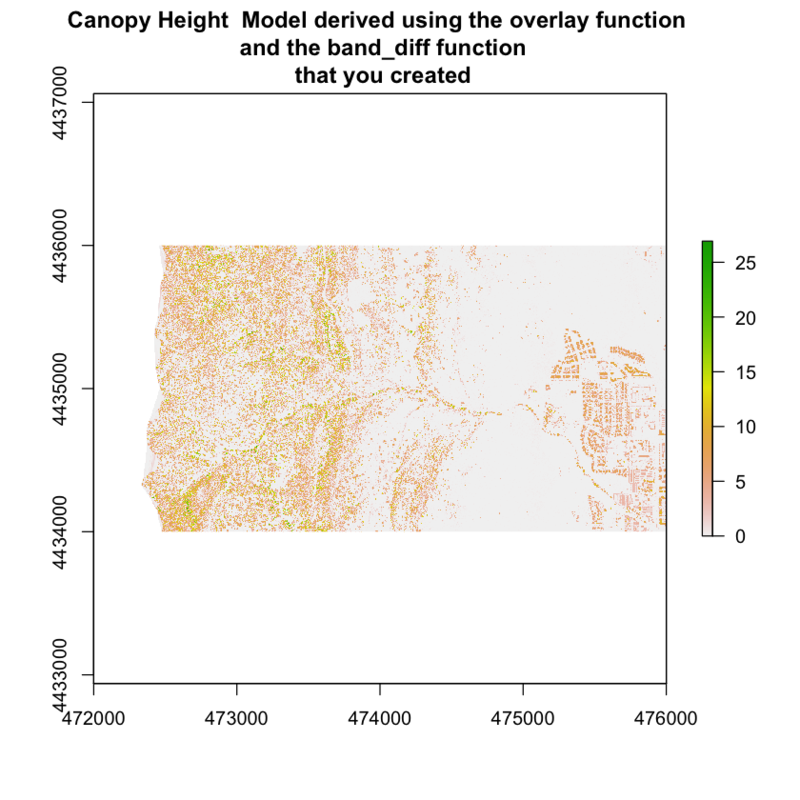 Calculate the difference between the lidar DSM and DEM using this function. # calculate difference  - make sure you provide the rasters in the right order! The overlay function is actually not faster when you are performing basic raster calculations in R. However, it does become faster when using rasterbricks and more complex calculations. Let’s test things out on NDVI which is a more complex equation. # what if you make your stack a brick - is it faster? Notice that the results above suggest that the overlay() function is in fact just a bit faster than the regular raster math approach. This may seem minor now. However, you are only working with 55mb files. This will save processing time in the long run as you work with larger raster files.